To be the best bartender is to be more than a great mixologist. They tirelessly develop their craft, meticulously curate what sits on their back bar, and lead communities in trying new trends and thinking about cocktail culture as something that’s never final, but continuously renewing itself. Not to mention they have one hell of a time in the process. This city is brimming with creative talent, and there’s no shortage in the bar scene, which makes it all the more difficult to narrow down the best. There were several factors, from their countless beverage competition wins, to successfully getting staunch whiskey-loving Southerners to embrace absinthe... but we did it. We went through a slew of big names to highlight the top performers and bring you Nashville’s top bartenders of 2016. It’s not the easiest of tasks, you know, creating cocktails that perfectly complement the exotic flavors and spices of Indian cuisine. As bar manager of Chauhan Ale & Masala House, Jen Fuller not only makes it look incredibly easy, but her zest for the art of pairing is infectious. There’s rarely a competition she’s not participating in or a best-of list she’s not nominated for. 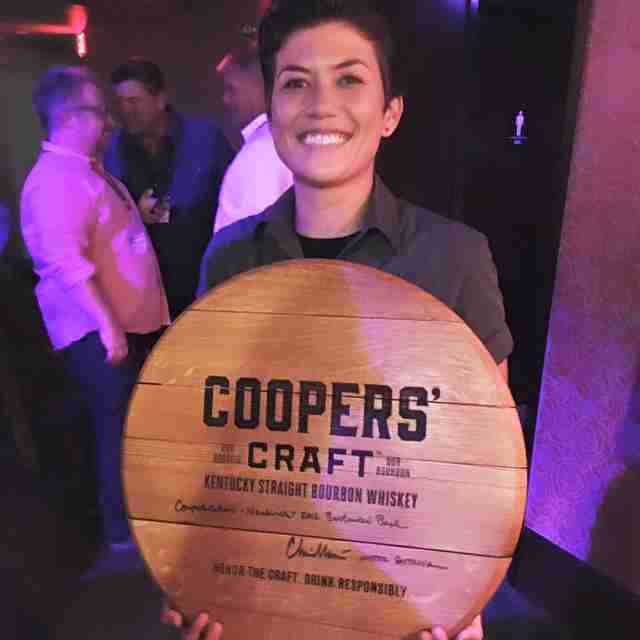 Her speed behind the bar and unpretentious approach is why she thrives in categories for the people’s choice. Prior to Chauhan, Jen tended bar at the Hilton Downtown Nashville and Merchants Restaurant. At Chauhan, she’s attracting new audiences with different specials, like the $6 Tuesday Tastings, where you sample three variations of a spirit, wine, or beer -- and some weeks it’s three spins on a classic cocktail. For something different, try the Faithful Mistress, with kettle corn-infused rum, Amaro CioCiaro, cherry bark vanilla, and sarsaparilla bitters, or the Yankee Rose, with Cathead Honeysuckle vodka, Copper & Kings immature brandy, hibiscus mint syrup, and grapefruit bitters. Where do you go to drink when you’re not working? Jen Fuller: 308 is always my first pick. Not only is it walking distance from my house, but I've never had a bad cocktail there and the bartenders are awesome. Fuller: An Old Fashioned. There are many different ways to make an Old Fashioned, which is always fun and easy to play with. Just need a spirit, syrup, and bitters. Do you think the Nashville bar scene is underrated? Fuller: I don't. Nashville is growing so fast and there are so many people from all over the country moving here bringing with them their ideas and experience. When I first started bartending in Nashville, cocktails were fruity and super-sweet, or just boring (like a Jack and Coke). Now, it's about fresh ingredients and making syrups, bitters, and infusions. I think it's only going to get better. The recent opening of the Thompson Nashville has the whole city buzzing, and not just about the hotel’s impeccable style or the much-anticipated arrival of chef John Besh’s Marsh House, but also the cocktail program, which is crafted to highlight Southern flavor with seasonal offerings. Behind the bar, you’ll find Yamada, formerly of Sinema and Embers Ski Lodge in Nashville, and Bar Tonique and Meauxbar in New Orleans before that. The creativity and sense of humor he brings to cocktails -- like his Mango Unchained and Crouching Tiger, Hidden Cucumber (served at Sinema) -- is what makes his regulars follow him to any establishment. For Marsh House, he suggests two of his opening cocktails. The Millwood (pineapple rum, lime juice, creme de mure, Velvet Falernum liqueur, bitters, and prosecco) is inspired by the story of his girlfriend's grandmother, Helen, and the first drink a gentlemen bought her in a Louisiana casino. The Honey Island (gin, Bruto Americano liqueur, lemon juice, honey, egg white, bitters, and chinotto Italian soda) is named after the area near the Mississippi/Louisiana border, and pays homage to the hundreds of Ramos Gin Fizzes he made while working at Bar Tonique. Ryan Yamada: I really love the atmosphere at 3 Crow. It's casual, great bar food, and TVs to watch games. If I want to get a cocktail, I like The Green Hour. Absinthe and chocolate truffles are a great pairing and a fun date night. Yamada: I love making Ramos Gin Fizzes. I take each one as a personal challenge to put out a masterpiece. It's a labor-intensive drink for sure, but for me the end result is worth it. Yamada: I think this is a great moment in time for the Nashville cocktail scene. There are so many great bartenders and bar programs moving to Nashville right now. It's exciting to be in the thick of it! I think that the scene as a whole is on the radar for the nation's industry as a whole for sure. This last year with the Speed Rack competition we really got to shine as a market to a national audience. I think that this is certainly just the beginning for Nashville to make its mark as a city known for being a whiskey town, a city with an amazing local craft beer scene and talented bartenders serving innovative and delicious cocktails. During his four years at The Patterson House, Joey Dykes quickly became one of Nashville's favorite bartenders. 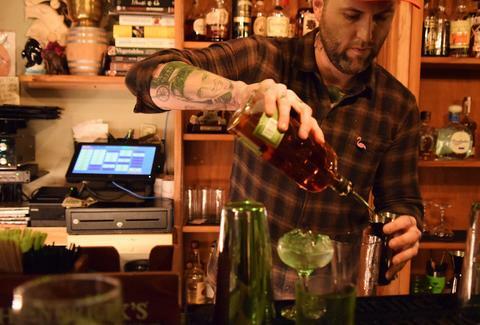 His talent for making high-end craft cocktails and natural ease with customers makes it all the more surprising that Patterson House was his very first bartending gig. Having worked in almost every aspect of the food service industry from cashier and food prep to cooking up burgers and pizzas, Dykes still always gravitated toward beverages. He worked as a barista, and at one point made high-volume milkshakes for a restaurant. When he was hired at Patterson, he started front of house as a host and worked his way to the bar through dishwashing, barbacking, and serving tables. He had little serving experience, but credits his personality for carrying him through the training. Now at Bastion, Dykes admits the decision to move was tough, but the timing and opportunity couldn't have been better. "I've always admired Josh Habiger and his team," says Dykes. "He is one of the reasons why I worked at Patterson House. I worked at J&J's in Midtown and used to make him coffee all the time when they first opened. He'd tell me to come into the bar, then would make me cocktails. It was awesome." Joey Dykes: My current favorite spot is Mickey's. It just feels good in there, like your best friend's basement… but you have a pool table, killer jukebox, and an incredible spirit selection. Dykes: As cliché as it sounds, a daiquiri. It's so versatile depending on the rum and ratios while still remaining very classic and simple. Refreshing, tart, sweet, sweet daiquiris all day. Beer is cool, too. Is Nashville's cocktail scene underrated? Dykes: I don't think Nashville's cocktail scene is underrated. We're still newbies in the grand scheme of things and we're getting national recognition. 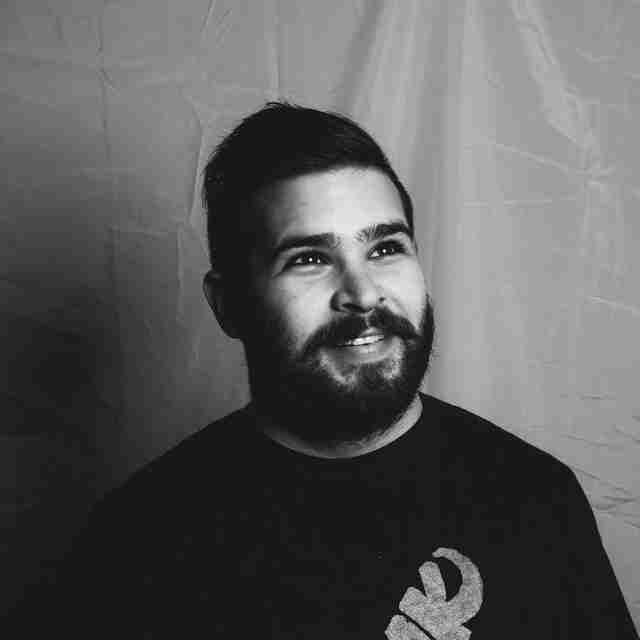 [James] Beard nods, write-ups in national print, TV, etc. I think that's pretty impressive. The scene is still fairly small, but you can feel it exploding. 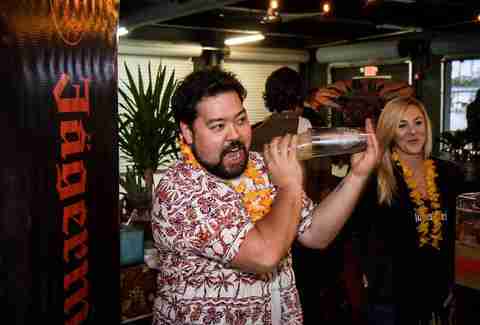 Freddy has made quite an impression in the local beverage scene since moving to Nashville just three years ago. He’s tended bar at several popular establishments from Pinewood Social to Bar Luca and Old Glory, and he has served as beverage director at Chauhan Ale & Masala House as well as consulting beverage director at Party Fowl. He also co-founded Nashville Ice Lab, a supplier of specialty cocktail ice, fresh juices, non-alcoholic syrups, hydroponic herbs, and bar equipment rentals. However, one of his most popular contributions is the pop-up bar phenomenon No Hard Feelings. 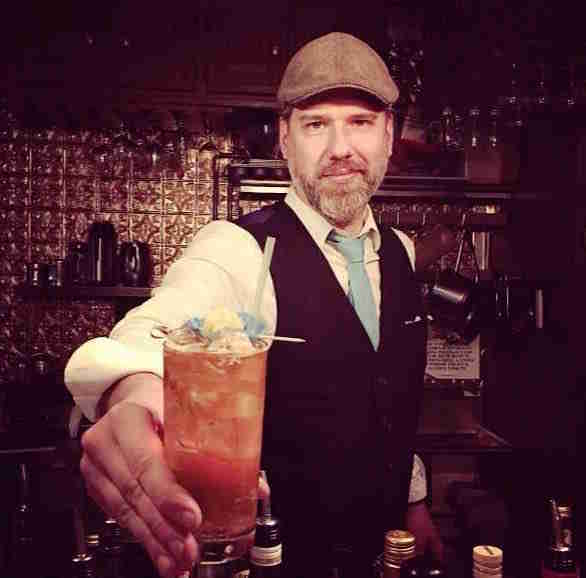 When Schwenk saw a need for a unique, weekly event in the city, he booked Tuesday nights at Bar Sovereign, when he invites guest bartenders to collaborate on a six-drink menu of high-end quality cocktails in a casual, come-as-you-are type of setting. The No Hard Feelings pop-up bar serves as a pilot program to test out the concept before committing to a brick and mortar, but the success has Schwenk eagerly shopping for the right space. Freddy Schwenk: Tobacco Road. It’s an unassuming neighborhood bar on my street where you can smoke a cigar and watch the game. Or drink a beer and watch the people smoking cigars and watching the game. What’s your go-to order when you’re out? Schwenk: A power couple -- it’s a can of beer and a shot of Amaro Montenegro. Schwenk: I think it's rated exactly what it should be right now, with more bars beginning to take a less pretentious approach and putting the focus back on hospitality and not re-inventing the wheel. I think our bar community has the chance to do some great things for a long time. Jeremiah Blake is arguably one of the most recognizable bartenders in Nashville. 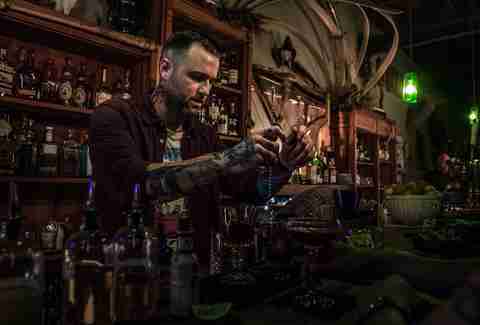 When the craft movement arrived in town, a broad spectrum of new drinkers -- from millennials to baby boomers -- flocked to see him at Holland House Bar & Refuge, trusting in whatever concoction he was mixing that night. Prior to his long stint at Holland House, he learned the tricks of the trade at Virago and various bars before that. His passion for cocktail culture is infectious and it shows when he takes the time to educate his guests on what he pours. When the owners of Tempered Cafe & Chocolate sought to cater to the after-dinner crowd with an absinthe bar, they enlisted Blake’s talent to navigate the commonalities in flavor profile between the spirit and their chocolates. The Green Hour serves signature cocktails and absinthe drips whenever the green light in the window is lit up (or always at 8pm). At any given time, Blake has roughly 15 different kinds of absinthe on hand, sometimes as many as 25. Try the Midnight Marauder, a black Manhattan with amaro instead of vermouth and a full half-ounce of absinthe, or the Tom Ford, a vermouth-driven cocktail with gin, a little Chartreuse for spice, orange bitters, and pineapple-louched absinthe. Blake demonstrates the absinthe ritual of La Louche (diluting with iced water) for each guest, but uses flavored water to further complement the cocktail. Whether you choose to ease in or fully immerse yourself in the power of the green fairy, for Blake, it’s the experience that matters, and he insists on showing you a good time. Jeremiah Blake: 308 is my go-to and has been for awhile. They have a great staff, pour a good drink, and you're bound to see some familiar faces. Do you have a favorite cocktail to mix up? Blake: The Boulevardier is my favorite drink to make. It's delicious and provides endless variations. Also, it creates the least amount of dishes to wash.
Blake: I do. This is a drinking town and 2016 was a great year for Nashville bars. I think 2017 is going to continue in that direction. I'm excited to see the evolution of bars and watching all the talent we have here. It's inspiring. Kendall Mitchell Gemmill is a Nashville native whose beverage journey proudly began with Zima.